Having already pursued the majority of the rather “well known” fax stations, I decided to move along and try my luck at some of the lesser-known stations with spotty data as seen from some older listings and SWL schedule sites. The station that stood out as being the most promising was a Japanese Fisheries station, JFX Kagoshima Fishery Radio Station. Frequencies I’ve found listed included 6414.5, 8658, 13074, 16907.5 and 22559.6kHz which according to a recent posting from Utility Planet, are shared between JFC and JFW. I also saw 8616 and 17231kHz as potential frequencies on older lists as well. As a result, I went trawling for faxes and to my surprise, I caught some. 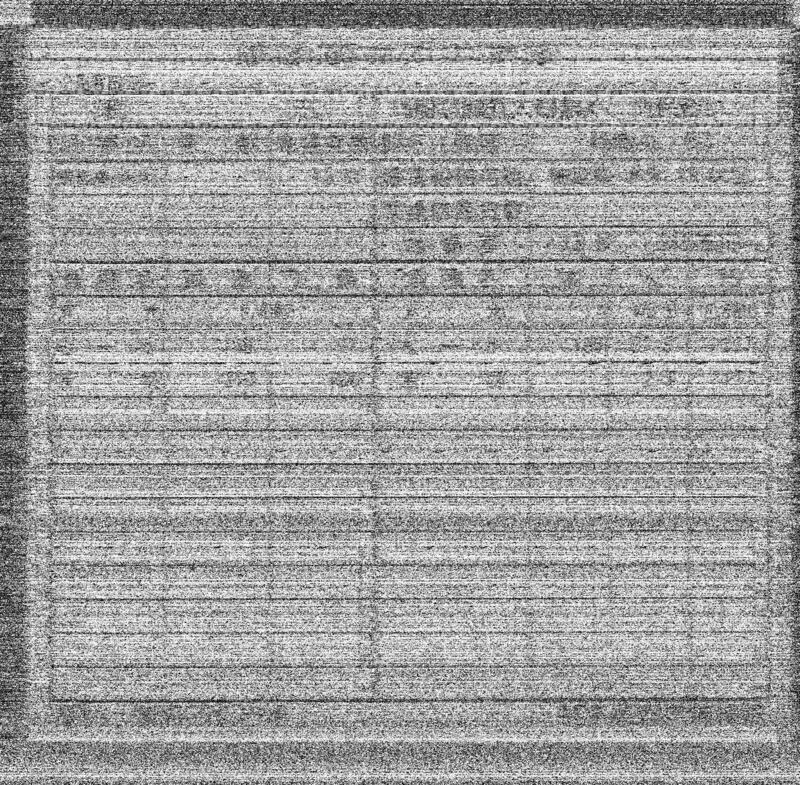 I had to use a slightly modified technique (more on this in a future posting) but I managed to use the AKKY and JH1PGF KiwiSDRs to receive faxes on 8658, 13074 and 16907.5kHz. The other frequencies did not have sufficient signal to be received possibly due to poor propagation or inactivity. The faxes shown represent a snapshot in time from 7th to 9th February 2019 and are not updated. Faxed material should not be used for navigation or fishing purposes. 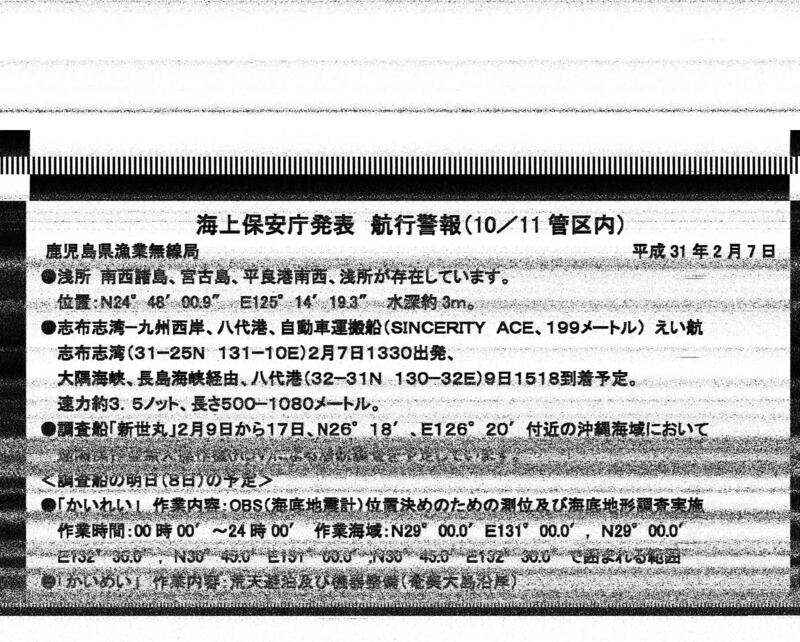 Copyright of the faxed material belongs to the transmitting agency, believed to be Kagoshima Fishery Radio or JAFIC. The faxes are reproduced for documentary purposes illustrating the technical characteristics of the transmissions, formatting of the content, activity schedule of the station, propagation characteristics of their signal and proof of reception at the given dates and times. The station was monitored for a number of days to optimise frequency and receiver choice, as well as obtain the best copy that I could given my resources. While I was hoping for a schedule, there doesn’t seem to be a transmitted schedule. 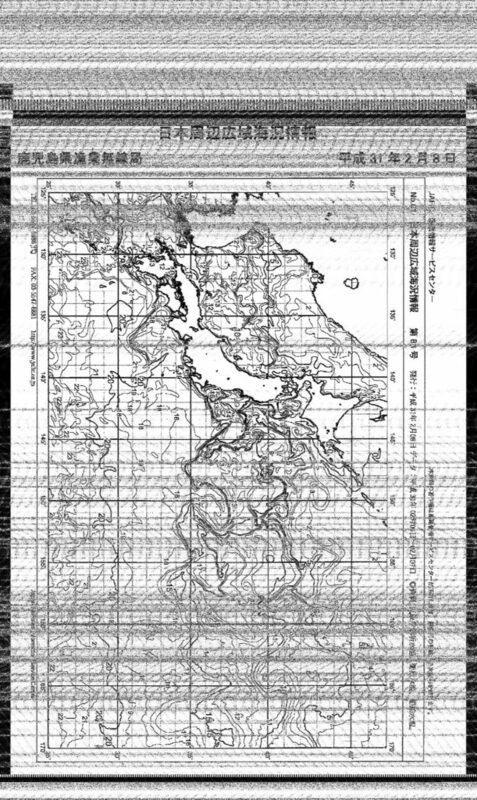 I received most of the charts clearest on 8658kHz, with exceptions noted. Note that chart dates are all in Japanese format (Heisei 31 representing 2019). Chart transmission timebase was very stable with no slant correction required. One of the most notable charts transmitted is a surface analysis/prognosis chart which is broken into eight sub-figures. This chart is sent as a rather tall chart and demonstrates JFX’s regular transmission characteristics. Similar to JJC, there is generous white-tone prior to the commencement of the fax allowing for easier tuning to the transmission. Prior to the start tone, inverted phasing ticks appear. Start tone is relatively long and a stop tone is also used. Image margins are black. 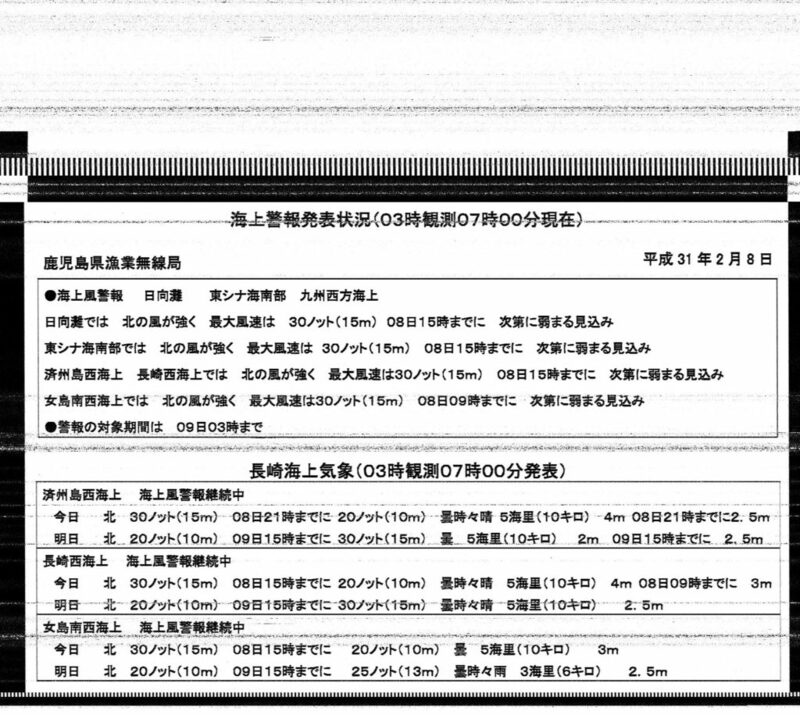 This fax was received at 0020UTC on 9th February 2019. It should be noted that a number of these charts seem to be repeated throughout the day – times are given for the received example only but it is possible to receive the same chart at other times. A different type of weather chart is also available, this appearing to be a sea surface temperature chart (in the noise which seems due to poor propagation and QRM). This chart makes reference to the JAFIC website and was received 0700UTC on 8th February 2019 on 13074kHz. Unfortunately, I only received one sample during the monitoring period, thus perhaps it may be sent depending on day of the week (as many Japanese stations tend to have odd schedules). 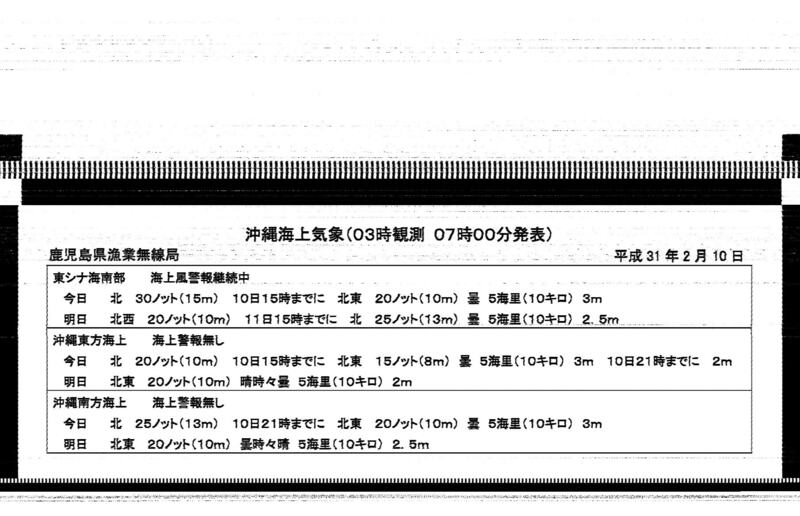 Navigational warnings or NX are sent, the above example being a Japanese Coast Guard NX received 7th February 2019 at 0930UTC. 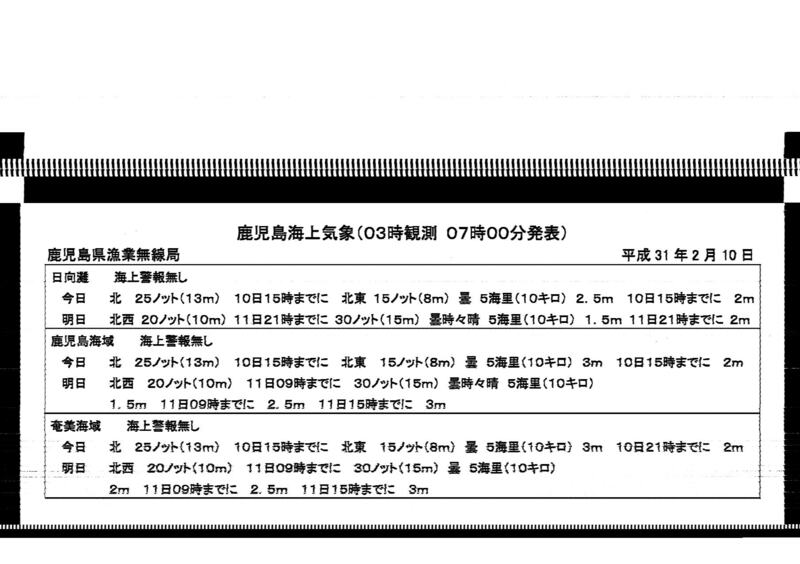 In addition, specific warnings are provided for regions, the above is for Nagasaki received 2200UTC on 7th February 2019. A shorter version also was received covering Kagoshima, received 2240UTC on 9th February 2019. A third variant covering Okinawa was received 2300UTC just following the above. JFX’s unique value appears in providing market pricing information to fishermen. 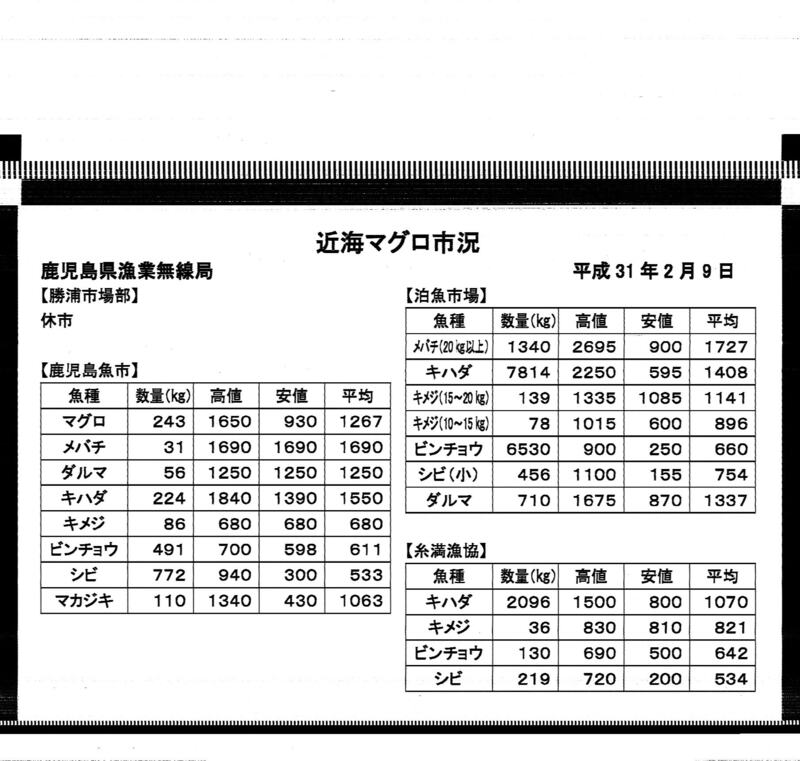 This example is from 8th February 2019 at 0830UTC and appears to be Kagoshima Market Prices. The chart does change from time to time – in this case, it seems that one of the markets is closed. This example from 9th February 2019 at the same time. 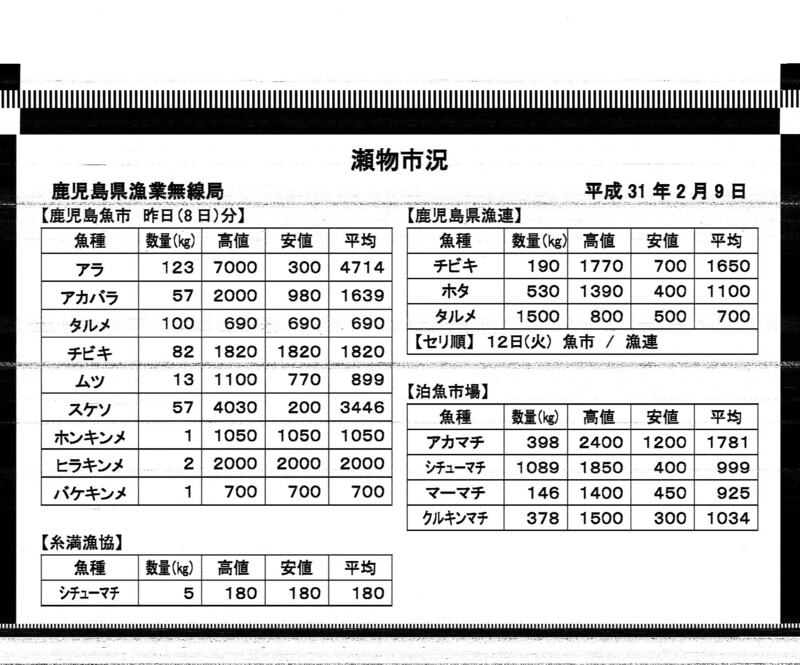 This chart also appears to be a market price chart, but instead for deep sea tuna (I’m guessing). Received 0330UTC on 9th February 2019. 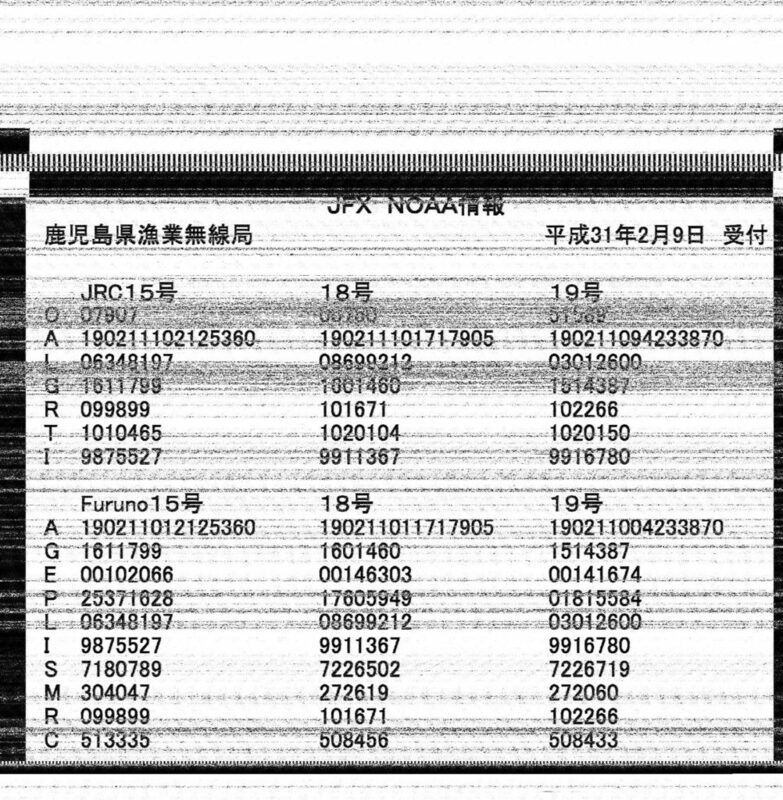 There is also a chart titled JFX NOAA with a number of cryptic codes and brands of marine equipment (JRC/Furuno) named. I wonder if this represents data for fish finder equipment for marking favourable fishing zones. Received 1800UTC on 8th February 2019. There appears to be some evidence for sharing of the channels, as some rather “dirty” faxes were barely received, which is seemingly uncharacteristic of the JFX faxes above. I suspect these originate from another station (JFC/JFW) at a different location resulting in poor propagation but I thought I’d include them here (pending further investigation in the future). 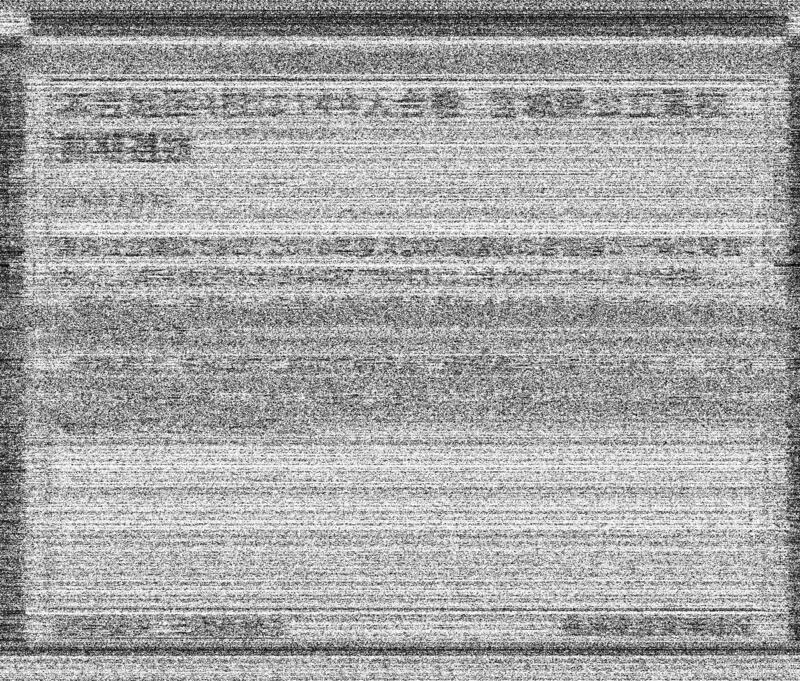 The above appears to be some sort of form, received 0235UTC on 9th February 2019. The above appears to be a notice of sorts, received 0535UTC. Both these charts were received at xxx5UTC and both were received on 13074kHz, perhaps providing key indication that it is a different station. 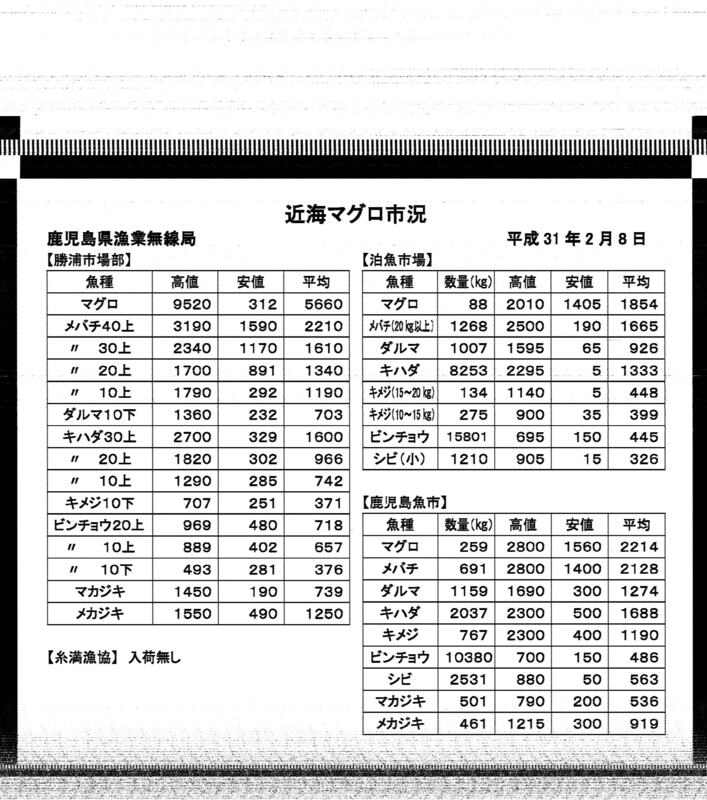 Just as with telephony fax, it seems that radiofax is most alive in Japan, where different types of fax services still persist. JMH provides the weather, while JJC provides the news and JFX provides fishing-oriented information. JFX appears to have a rather limited selection of charts which provide predominantly textual information to fishing vessels including market prices, safety warnings, specific codes for navigation and basic weather information. The format is not unlike JMH with black margins in the image border and generous tuning tones, however, as seen in the charts above, all are in Japanese.